Yippee ki-yay, M*th*rf*ck*r, it’s a good day to die hard. Two days before the official start of the Berlinale 2013, the world premiere of A good Day to Die Hard (ger: Stirb langsam – Ein guter Tag zum Sterben) took place in Berlin. 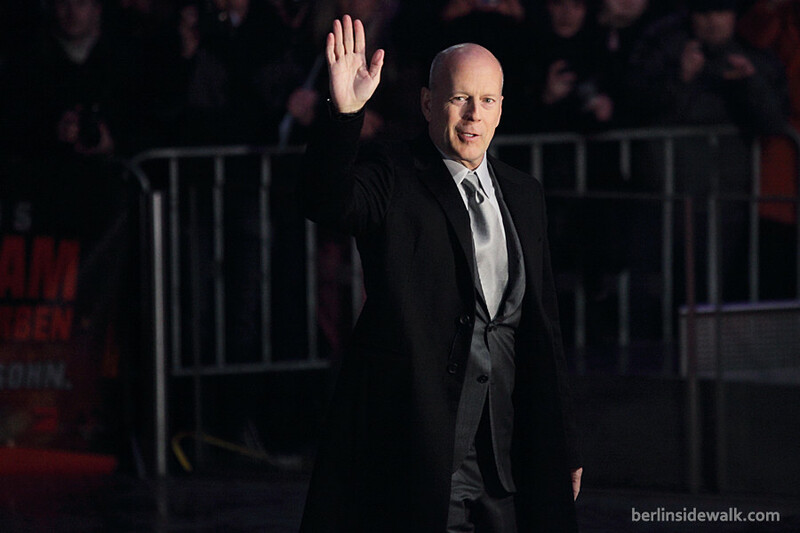 Jai Courtney (who plays John McClane son Jack), the German actor Sebastian Koch (who plays the Russian Komarov) and the one and only Bruce Willis together with his wife Emma Heming-Willis walked the carpet in the middle of the Sony Center, surrounded by hundreds of screaming fans.